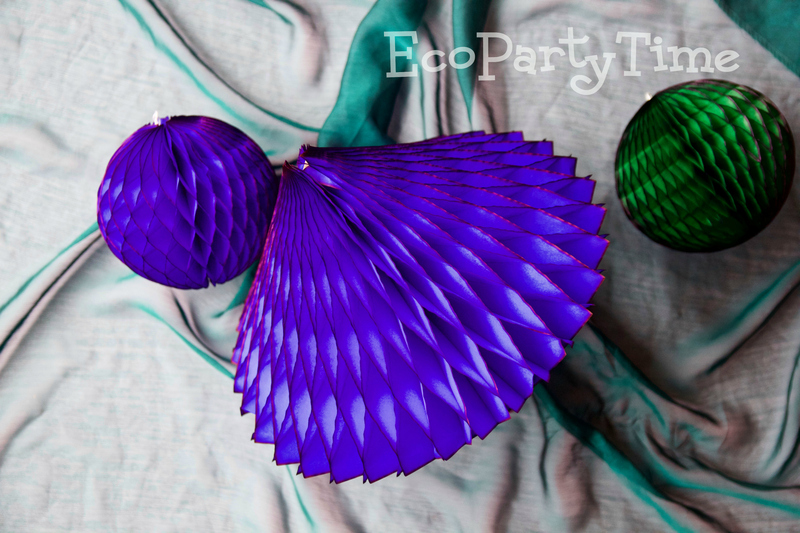 When you're party is over, you can save Ecopartytime's reusable Tissue Fans & Tissue Balls to decorate your home. 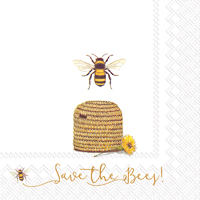 Here are my tips for using these cute decorations to spruce up any room! 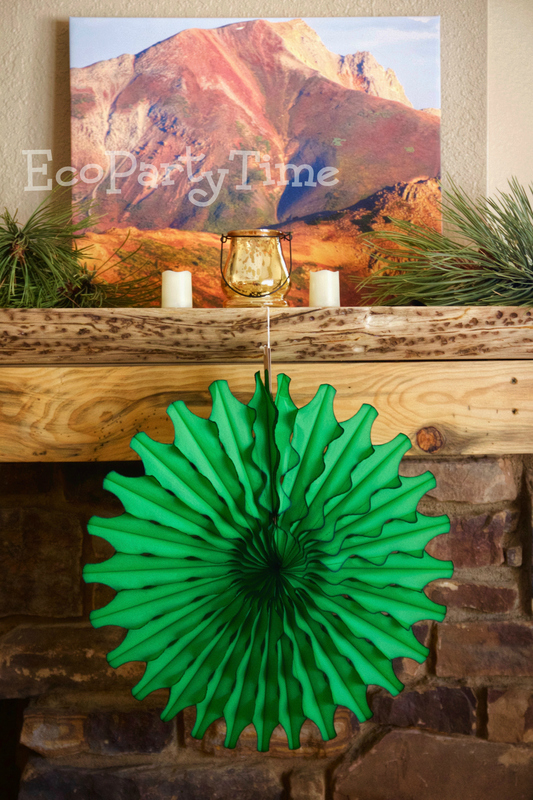 I live in a rather rustic, mountain home where Ecopartytime's Dark Green Honeycomb Tissue Fans look beautiful just about anywhere. 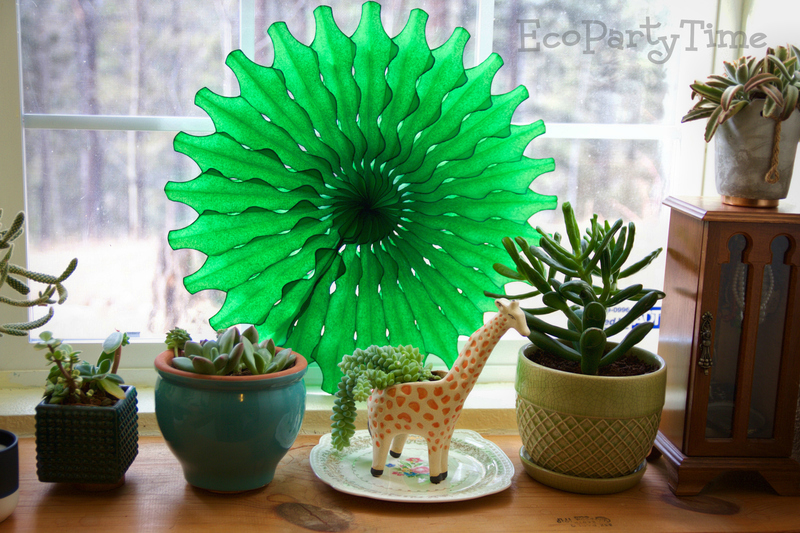 They go great with the pine tree branches. 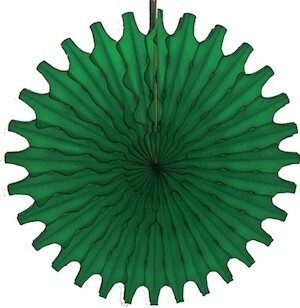 If you've got a fireplace then that's a great place to hang tissue fans (as long as they are far from the flames)! You could also hang the tissue fans under any picture shelves you have on the wall like in the photo above. If you've got lots of books like me then you probably have a bookshelf or two somewhere in your house. 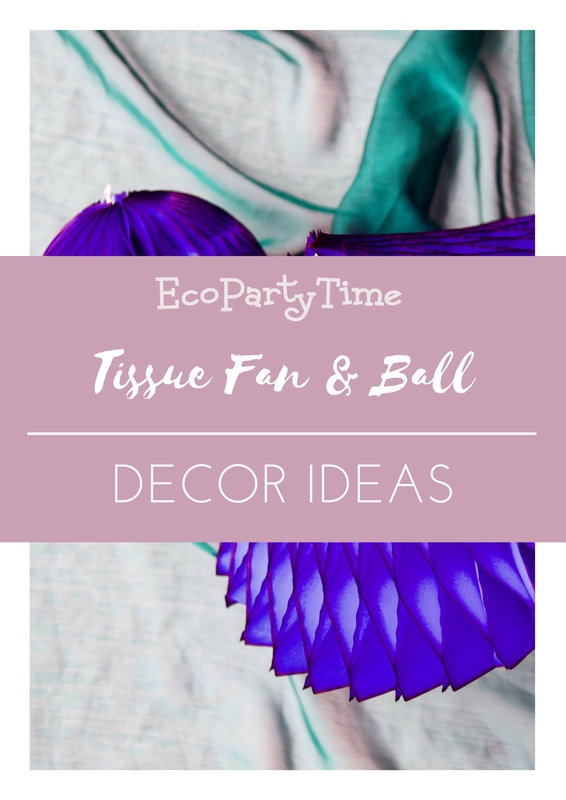 I like to cover the bookshelf in my room with Ecopartytime's Tissue Balls. 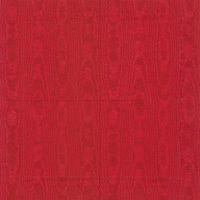 This adds a pop of color. 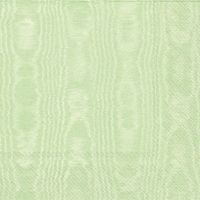 I matched the Tissue Balls to my bedding and wall decor. 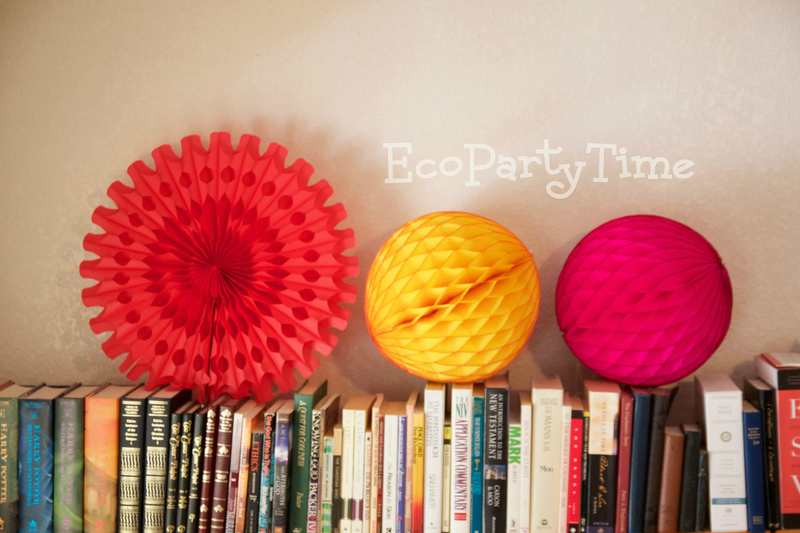 If you're wanting a calmer vibe than Ecopartytime has lots of neutral colored tissue balls as well! 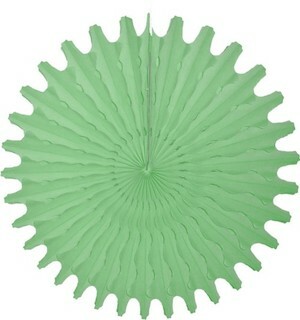 I have an array of Ecopartytime's Tissue Balls so that way I can hang a color that matches my table-setting of the day. 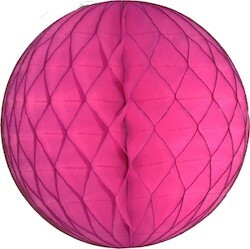 Some days I hang the lovely White Honeycomb Tissue Diamonds and other times I hang bright colors like the Hot Pink Honeycomb Tissue Ball that is pictured above. 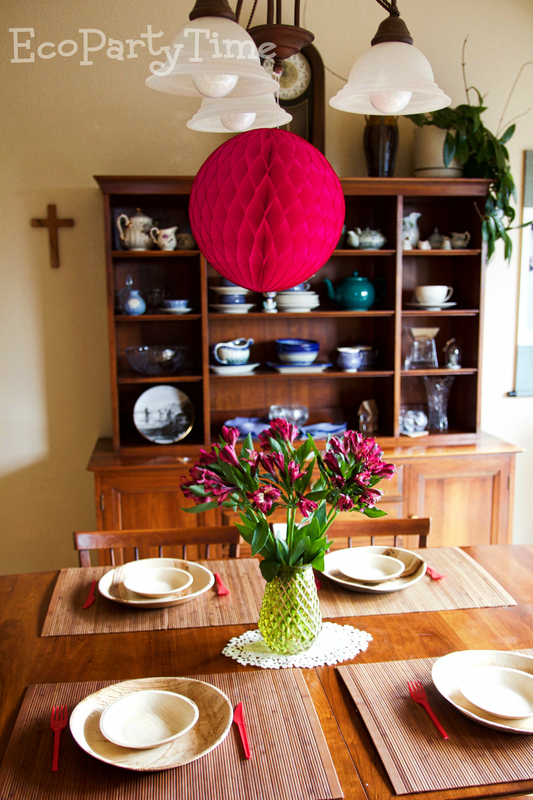 If you have nice hanging lights in your dining room you can easily fine the perfect Tissue Ball color and size to match the room. No hanging lights? No problem! 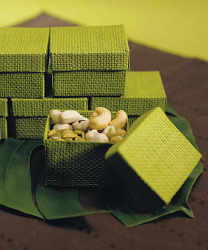 The tissue balls could also be set in the middle of the table as the centerpiece. 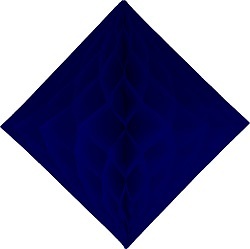 Ultimately, the goal is to get creative and experiment! 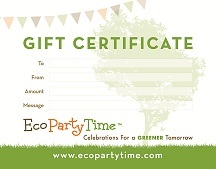 Ecopartytime has lots of options so you can find the perfect tissue decorations for your party AND your home.